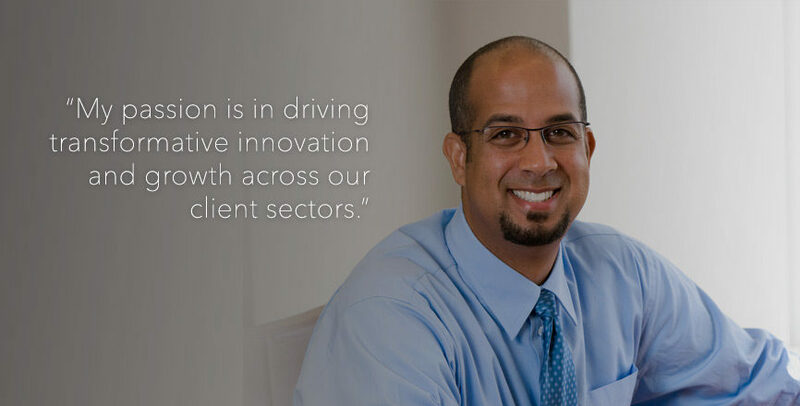 Dan brings extensive healthcare background, as a former executive with Kaiser Permanente, mixed with a focus on technology innovation, diversity, and overall strategy execution. Dan is a seasoned consultant recognized for his expertise developing strategy, driving growth and executing transformational change. He leverages his knowledge from the healthcare arena where he spent almost 20 years as an executive at healthcare giant Kaiser Permanente. He held VP-level leadership positions in sales operations and multiple national shared services operations, as well as Chief of Staff to the President and CEO. Cross cutting these responsibilities, Dan also managed programs to drive the agenda on diversity, equity and inclusion across Kaiser. Recently, Dan has focused on advising executives of San Francisco Bay area start-ups in the go-to-market space, as well as helping mission-based and academic institutions to develop and implement health-tech innovation and diversity strategy. As an experienced coach who is passionate about positive change, Dan works directly with C-suite executives and their teams to shift perspective, open doors and deliver growth. He is a graduate of the Harvard Business School’s Executive Education Residency, holds a Master’s in Health Services Management and Policy from the University of Michigan, and received his undergraduate degree from the University of Michigan in the Sociology of Medicine, Healthcare and Population Studies. Dan currently sits on the Innovation Advisory Board for Blue Cross Blue Shield of MA and the Griffith Leadership Council at the University of Michigan School of Public Health where he is also an Adjunct Professor.